And THIS: "He's not just out of this world, he's on another plannet﻿!" or something along the line. Yes, that's a beautiful and meaningful comment by Angelo Dolfini (and in Italian it sounds so, so nicely). And it's also in some way what Yuzu said in recent times about how he intend his jumps/technical elements, if I recall correctly. "You know, watching Yuzuru skate is like watching a Prince in his glass castle , untouchable , but then watching Javi is like, every man I want to have a beer with. Like watching two favorite movies back to back!" "He's pencil thin but packed with power & real talent"
Hanyu is kindhearted and determined. I believe those two qualities above all are what really come through in his day-to-day life. He’s always been so kind and… he hasn’t changed after winning two Olympic gold medals, he’s still very grounded and very honest. Um, determined– I’ve never seen anyone compete and train the way that he does day after day. It’s truly inspiring to see, inspiring to me, and inspiring to all the skaters around him. If i were the ISU, I'd recalculate the scoring system based on him (they (sort of) did *check*)"
"It is such a responsibility to have talent like he has. 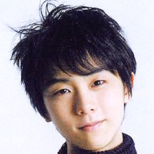 For me.. i think he has... i still said i think he has the potential to be perhaps the finest figure skater in history but maybe at the moment he cant handle all that talent"